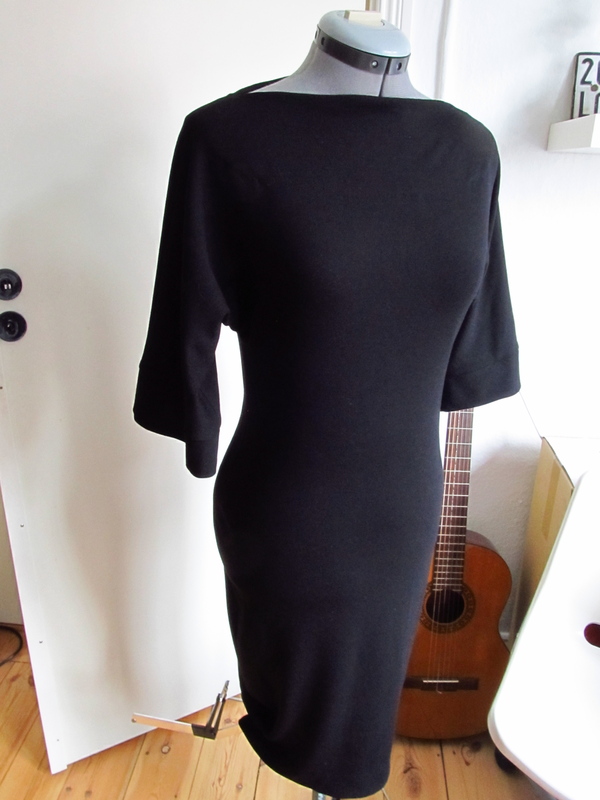 I know it sounds like I have been watching a bit too much “Pulp Fiction”, as in “Yolanda, I thought you said you were gonna be cool”, but there actually is a completely unrelated reason for calling my new dress form, Yolanda. When I was born, there were two names that my parents wanted to choose between, Amelia and Yolanda. Yolanda is apparently a Dutch name that is in my mum’s family and Amelia was just a nice name that they both liked. I must say, that I am rather glad they picked Amelia. No one has ever been able to find anything bad that rhymes with Amelia, though my brothers did try very hard. I thought it was only fitting that my “other half” should be called Yolanda. 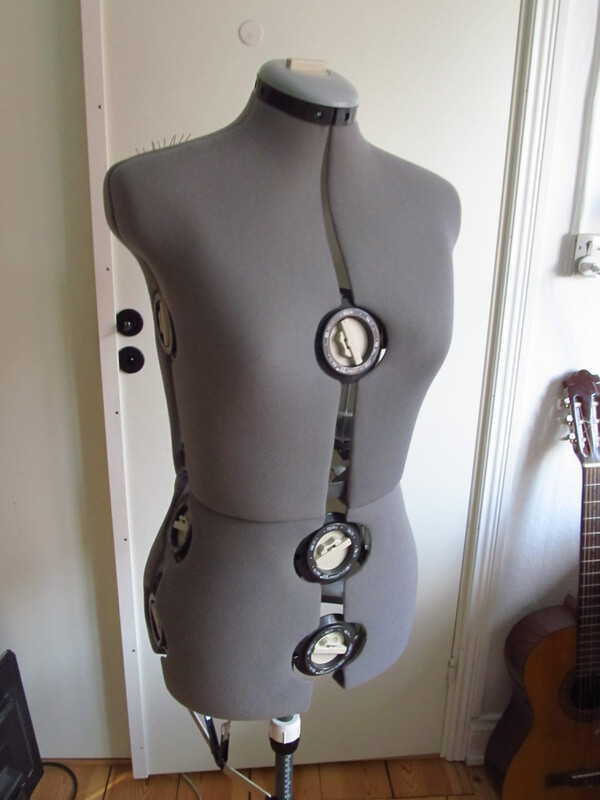 But on to more sewing related things. My sewing goals for 2013 are well under way and I finished all the mending/finishing that I had to do before the end of the week before last and managed to get not one, but two, patterns cut out to start sewing. Well on course! One of the garments was a copy of a double-knit, kimono sleeve dress that Bif’s mother had worn to death and wanted a new one of. So off I went, bought some double-knit and thought it would be easy. Or not. Turns out, the double-knit was quite stretchy in both lengthwise and crosswise directions, which doesn’t make for easy sewing. Luckily, I had tried out the fabric on some scraps and found that the seam stretched as I sewed it, even with a zig zag. On to the Inter-webs I went. Lladybird has done a fantastic post on sewing with knits, which you can read here, that got me started. 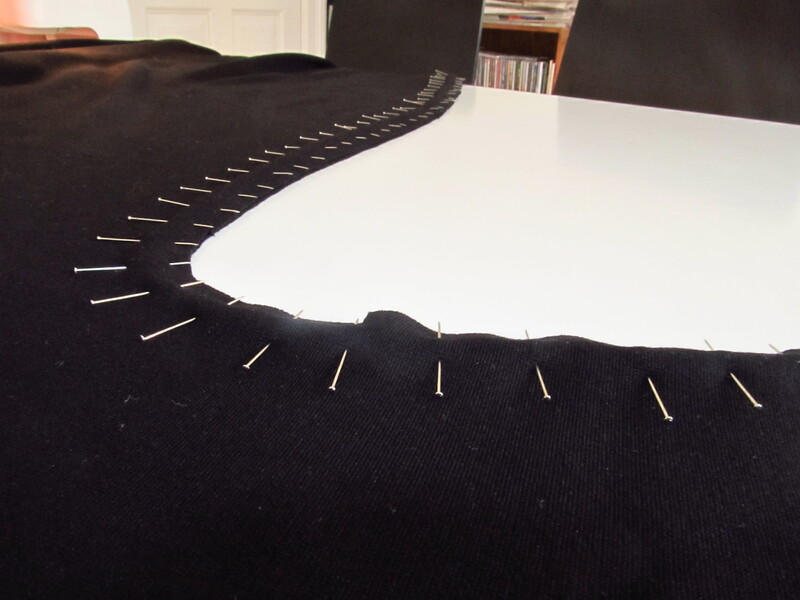 I had also read a comment somewhere, that you don’t need a walking foot or anything special (though a stretch/jersey needle is recommended), as long as you use a mass of pins and that is exactly what I decided to do. And it worked! No stretched seams! The dress is just a basic kimono sleeve double-knit dress with shaping through the waist and hips and a boat neck. The fabric has a 2 way stretch and is quite heavy. 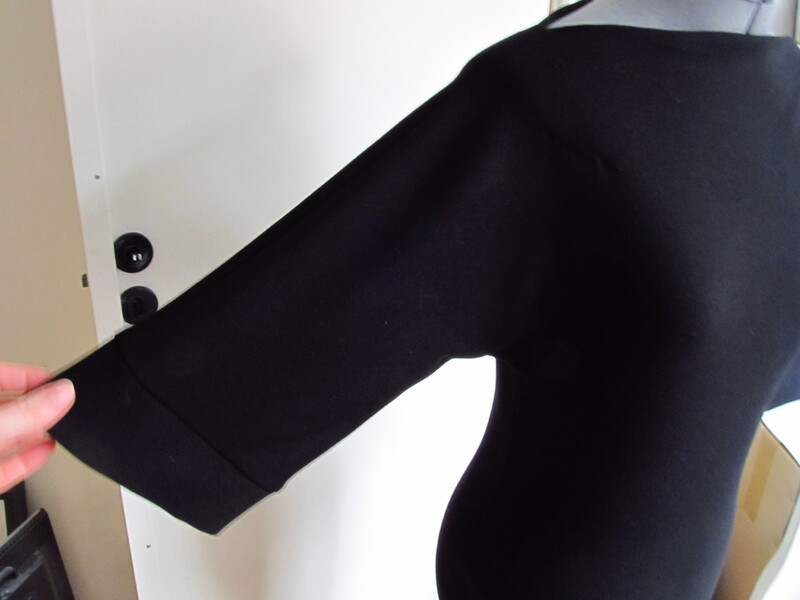 The “pattern” is the same front and back and the neckline and hem both have facings and the arms have a cuff around the edge. 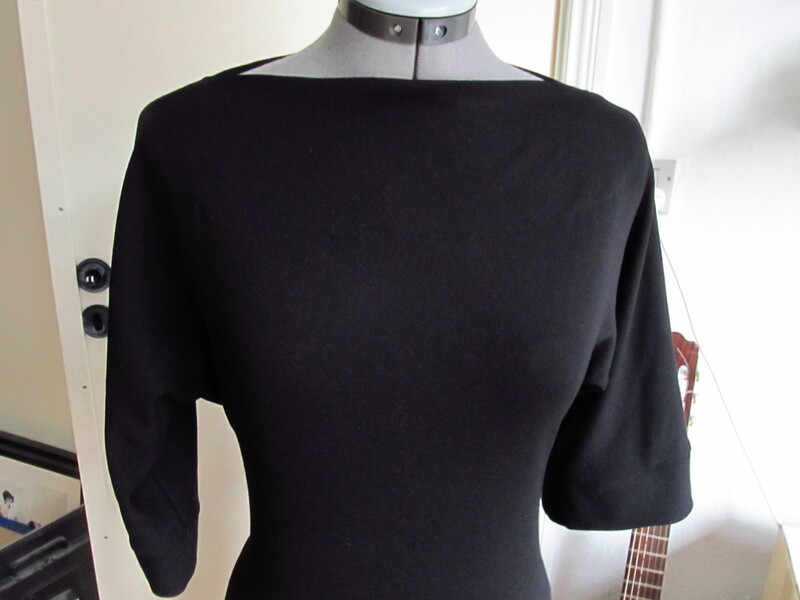 The facing for the neckline was on the original dress and I added the facing to the hem and cuffs to avoid having to turn them up and stitch them. I actually really love hem facings now. They look so tidy and are so easy! 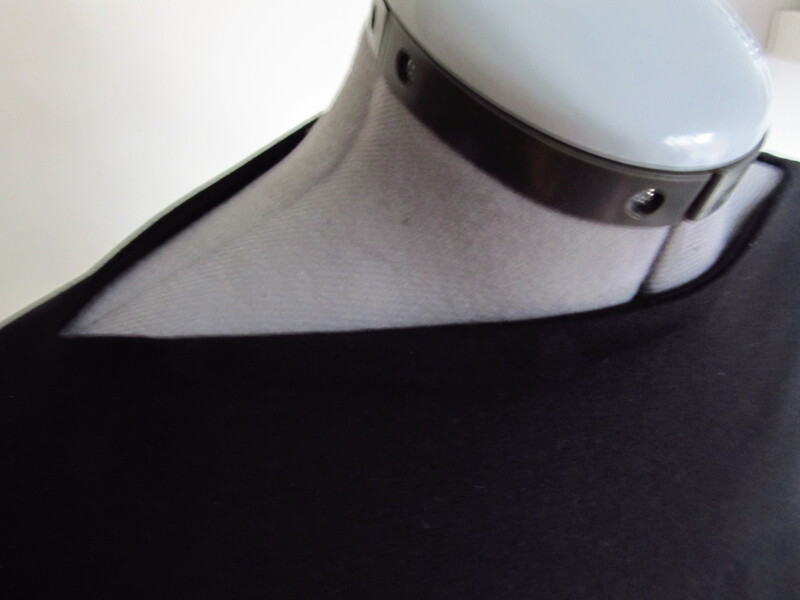 Since it’s a knit, I didn’t worry about finishing the inside seams, just trimmed them down nicely. 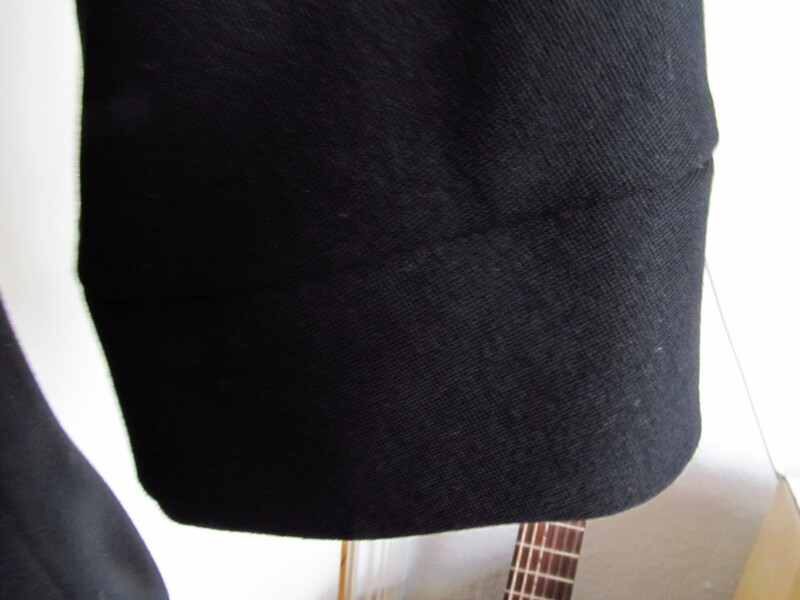 I used a zig zag stitch through out and a jersey needle to sew with. If it weren’t for all the pins, this dress would have been an easy make, but since it wasn’t for me, I really didn’t want to risk the seams stretching, so I pinned. As you can see above, I put the pins in perpendicular to the seams and I just sewed right over them to save a little bit of time. Nice and simple, really. I also cut out the blue wool crepe for a skirt and I am just over half way done with sewing that one. By the end of this week, I want to have that skirt done and the houndstooth wool cut out and ready to go, if not already half sewn. You are currently reading Let me introduce you to… at A La Amelia.